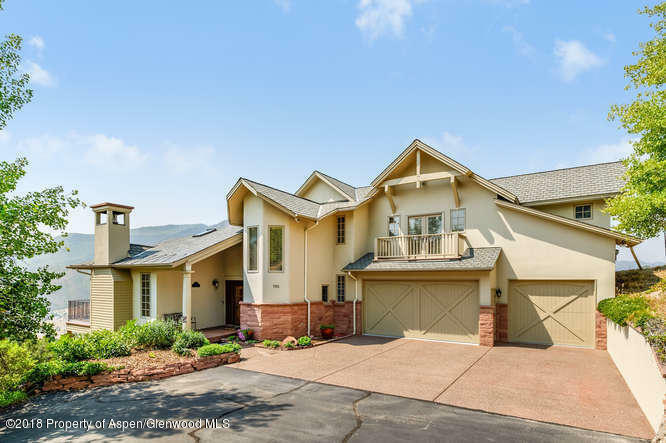 Ultimate Luxury | Glenwood Springs Architect designed with careful attention to detail. Meticulously maintained. Perfect move-in condition. Spacious light-filled home with extraordinary views. Unquestionably the best buy in Glenwood for an executive style home. Many extra features have been thoughtfully incorporated. The floor plan includes ample private and public spaces for maximum flexibility. Stylish, two-story entry, main floor master with spa-like bath, well-appointed kitchen, office and hardwood floors. Upstairs includes two bedroom suites plus large ''game'' room. Walk out lower-level includes family/media room, additional bedrooms and bath. Loads of storage throughout, 3-car garage & snowmelt driveway, private decks and patios, 9-zone sprinkler system, fenced dog yard and shed.